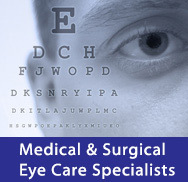 At Ophthalmic Consultants of Rockland , all of our physicians are trained and experienced in treating children. As physicians, and parents ourselves, we understand a child’s anxiety over a first visit to an eye doctor. We strive to create an environment that puts children, and their parents, at ease during their visit with us. We are equipped to treat a host of pediatric eye problems ranging from simple refractive errors, to amblyopia (“lazy eye”) and strabismus (“cross-eyed”).